By Jasmine Redmond | March 6, 2012. 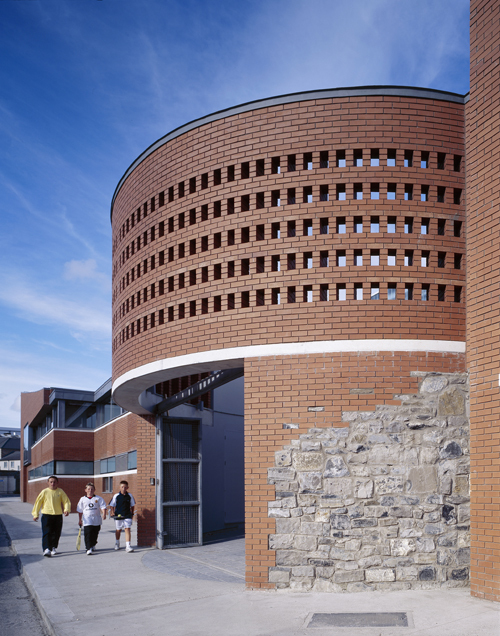 Saint Catherine’s Foyer is the rather grand title given to the housing initiative set up in Marrowbone Lane, to cater for the ever-rising number of homeless people in Dublin. It deals exclusively with young people aged 18-25 who are “homeless or in danger of becoming homeless”. What is striking about Saint Catherine’s is not the somewhat pompous name, but how opposed it is to prejudiced ideas that exist about temporary accommodation for homeless people. It’s clean, fresh, bright, and most importantly safe. It is apparent why the foyer became the building’s namesake. Notice boards crammed with photos of smiling residents and scrawled memoirs of trips away are mounted on the walls. A mélange of the young people’s artistic endeavors and the work of professional artists hang frame to frame on tastefully painted cream walls. Natural light floods the space and plush couches are dotted around the perimeter. The rooms provided for residents are equally comfortable and all have an adjoining bathroom and shared kitchen facility. There is a phone in each room connecting residents to the front desk which is manned 24/7 by friendly assistants. Once a young person meets the necessary criteria to be eligible for a room in Saint Catherine’s, the application process is straightforward. There is a tour every Monday for prospective residents. A form is filled out by the youth and reviewed by the team at the Foyer. The applicant will then be interviewed and a decision will be made in 5 working days. The Foyer has some basic House Rules which is the only other hint at the difference between this and other forms of public residences. There is ban on alcohol or drugs inside the building, guests are not welcome to stay unless previously arranged by the resident with a Key Worker – they must provide photo id and be out of the building by 9am the next day. Each resident is assigned a Key Worker upon arrival, and together they set out a focused plan which targets four key areas: training/education, job search, emotional development – e.g. referral to counseling services and personal development such as providing guidance for budgeting and other life skills. The Foyer recognizes that homelessness is an emotional as well as physical state and all aspects which lead to a person becoming destitute are addressed in order to break the cycle. Residents are welcome to stay in Saint Catherine’s for over two years, however many move on in much shorter amounts of time. Under the guidance of their Key worker and within the safety and security provided by Saint Catherine’s the young people flourish, they become more independent and motivated. Their knowledge expands and they find work or apprenticeships or enroll in education and have the confidence to move forward alone. It is almost painfully ironic the words homeless and hopeless sound so similar and appear to go hand in hand. But Saint Catherine’s is making moves to break the link between the two and doing so very successfully.